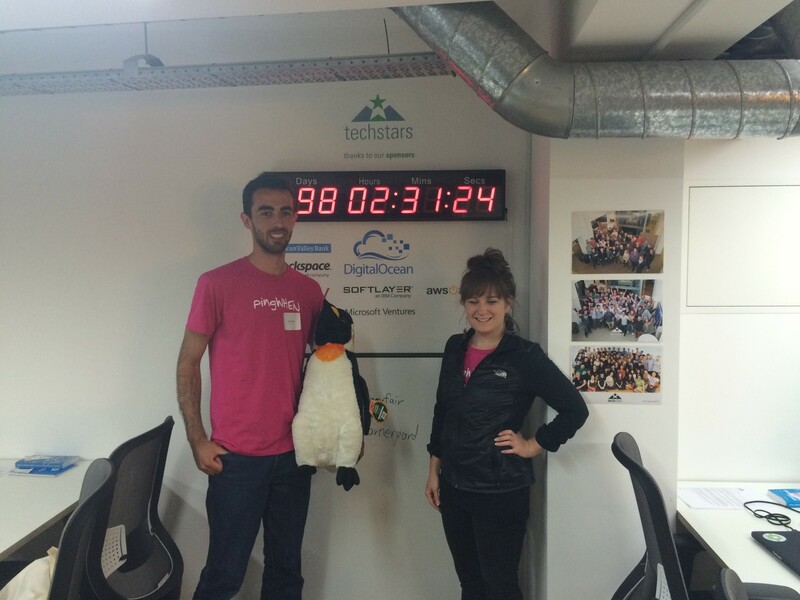 We strolled into Warner Yard with our two stuffed penguins, hot pink t-shirts, and our MacBooks ready to take on TechStars. After we were introduced to the space and the people behind the scenes to make this program a success, we got a general overview for the next 99 days (a time that’s going to disappear very quickly, as a large count-down screen constantly reminds us!). Basically, we are told to – Do. More. Faster. The next few months are going to be filled with tons of feedback and criticism as our business ideas are ripped apart and put back together. It will be extremely important to be intellectually honest or what is working and not working and establish regular rhythms. Or we are bound to fumble in the start-up journey. Daily Standings: Which consist of what you did yesterday, what you need to do today, and any bottlenecks or headlines. Blog: We are going to commit to writing a post. Every. Single. Day. It is our insider journey through the TechStars program. Exercise: We must not forget the realities of the world and sacrafic on our bodies – therefore, we are going to do 100’s (or hundo’s) which are 100 push-ups, 100 sit-ups, 100 calf raises, and 100 lunges. Every day. If you don’t do them – you owe the partner lunch the next day! The afternoon was filled with a surprise scavenger hunt! 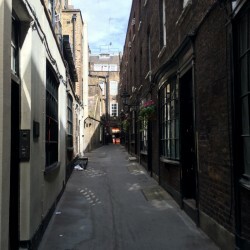 Teams were split up into random pairings and given 7 clues to rush around London. The clues were actually much harder than anticipated and we relied on Google. Sam’s team figured out a way to get a free Uber ride and used that to propel them into a running start. 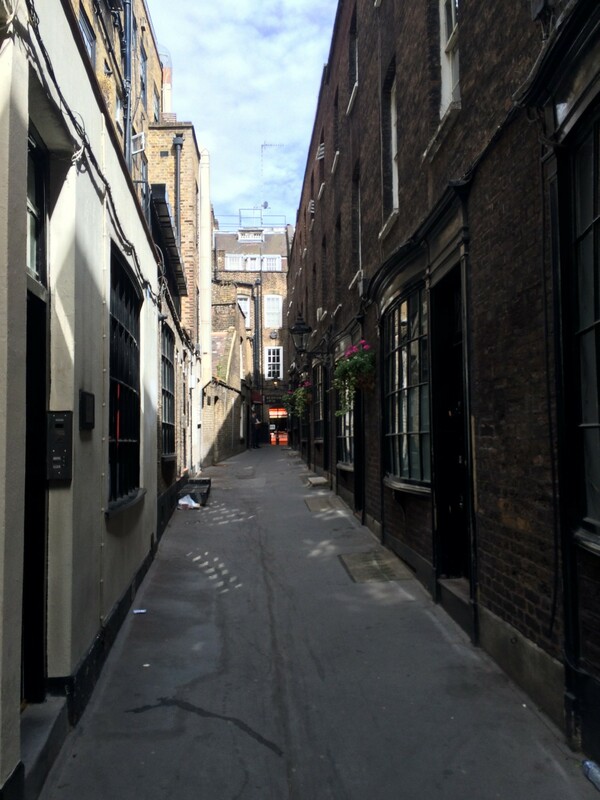 Julie, on a different team, ran, literally, all across London as they gathered all of the clues. In the end, neither Julie nor Sam were on the successfully winning team (although Sam’s team did make it back first!). Instead, the team that won actually came in last for the race, but spent a considerable amount of time doing all the bonus points to make up for the lack of speed. The evening ended with a social as the founders got-to-know each other over drinks and light dinner. Interestingly, there were a few points that were made by Max Kelly during his presentation that really hit it home for our team on ensuring we have good communication architecture and brutal honesty with each other. Point #1: There are most certainly teams that will not be working together at the end of this experience. Point #2: People may need to move around in their titles as it will continue to be an ebb and flow on learning what is needed and works in the market. 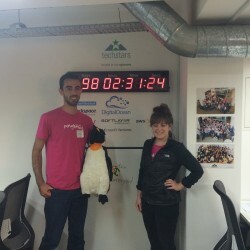 This entry was posted in pingWHEN Blogs During TechStars and tagged pingWHEN, techstars on July 6, 2015 by Sam.